Dickinsonia, an Ediacaran organism of unknown affinity, with a quilted appearance. 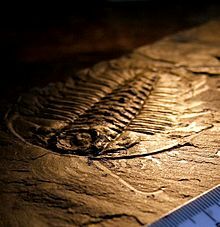 Life on Earth changed greatly during the Cambrian period. 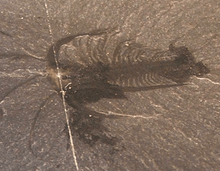 Before the Cambrian, life was mostly small and simple. Complex organisms (metazoa) evolved during the Proterozoic era. 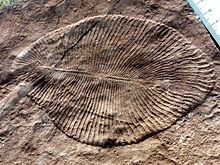 But during the Cambrian period, some organisms used carbonate minerals for shells, so they had hard parts which could become fossils. 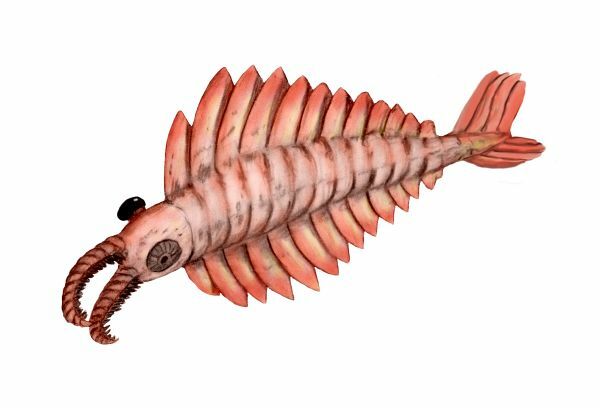 There were many different kinds of life during the Cambrian period. 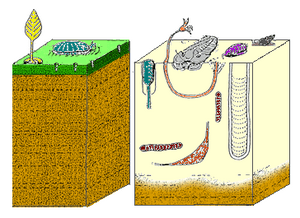 This diversification of lifeforms was relatively rapid, and is called the Cambrian explosion. This adaptive radiation produced the first members of the main groups of animals, called phyla. Cambrian Facts for Kids. Kiddle Encyclopedia.